New research has shown that babies who are breastfed, and whose mothers consumed Omega 3 fatty acids have better eyesight than those whose mothers did not consume any Omega 3’s. The same is also true for babies who use formula that contains Omega 3 fatty acids. Those babies also had better eyesight than babies whose formula did not contain Omega 3 fatty acids. This is great news, since before this study was done; doctors thought that only babies who have been breastfed could enjoy the benefits of better eyesight. 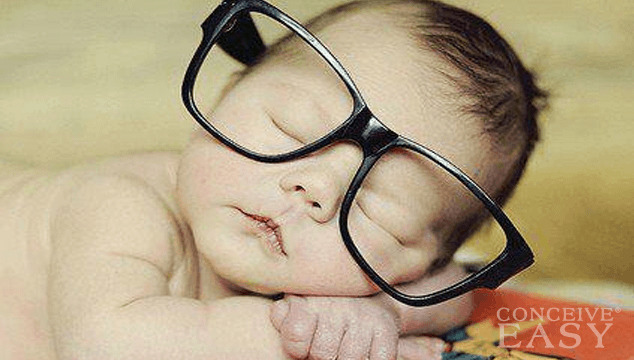 Now we know that even babies who use formula can have improved eyesight, as long as their formula has Omega 3’s in it. This is really big news for babies and moms everywhere, since previously doctors thought these benefits could only be enjoyed by babies that were breastfed. Why do the Omega 3’s cause this improvement in baby’s eyesight? Doctors and experts think that the Omega-3 fatty acids help with the development of babies’ ocular nerves and all of their early visual development. Now we are even seeing that the Omega-3’s can help babies while they are still in the womb, but also after they are born, through breast milk or enriched formula. Doctors even say that babies that have been exposed to more Omega-3’s have improved cognitive function, and are even able to pay better attention to things than other babies. Talk about giving your little one a head start! How can you make sure that you are getting enough Omega-3 fatty acids in your diet? Your doctor can help you determine the best way for you to get Omega-3’s. You can get them through fish oil supplements or flaxseed oil supplements. You can also get Omega 3 fatty acids through eating fish, and some vegetables as well, although some types of fish are not safe for pregnant women, so make sure you check with your doctor first. He or she will be able to give you more tips for getting the Omega 3 fatty acids that you need to benefit not only you but your baby as well.